There’d barely be an Aussie backyard that isn’t crowned with a trampoline. And times have certainly changed since those dangerous tramps of our childhoods – so come and take a look at one of the safest trampoline brands on the market. As the name suggests, Springfree Trampoline do away with the one major danger zone in most tramps – the springs. I only too keenly recall the coils of terror on my childhood trampoline, getting pinched by the springs was anything but fun! 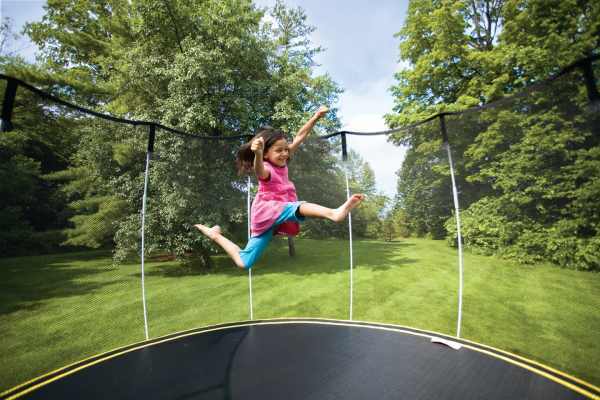 The Springfree Trampoline is the first of its kind, pretty much removing all of the problem areas associated with causing trampoline-related injuries. But we don’t just have to take Springfree Trampoline’s word for it – Choice recently tested twelve trampoline brands, and Springfree Trampoline came up trumps. 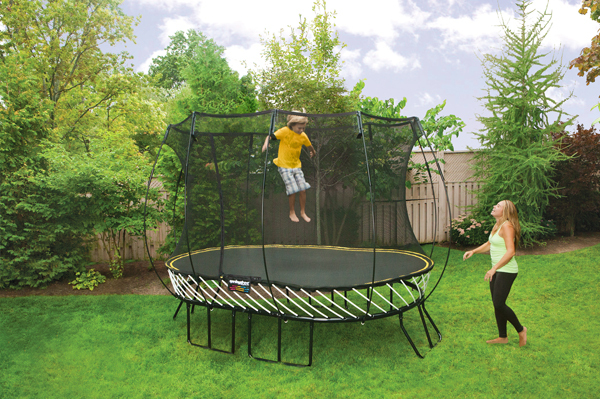 The Springfree R54 Compact Round trampoline was the only one which passed the Australian Safety Standards, and was the only one recommended by Choice. 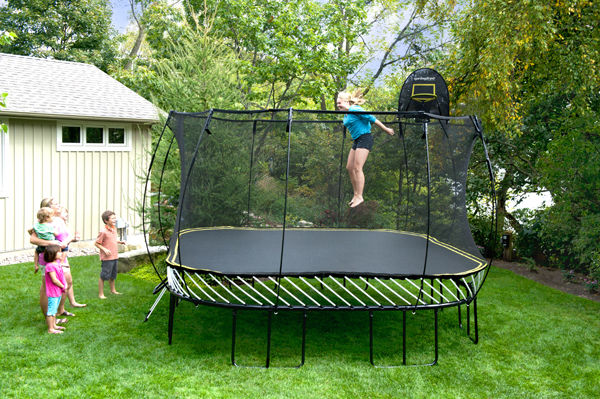 Springfree Trampolines have no springs, no hard frame at the jumping surface and no rigid poles. 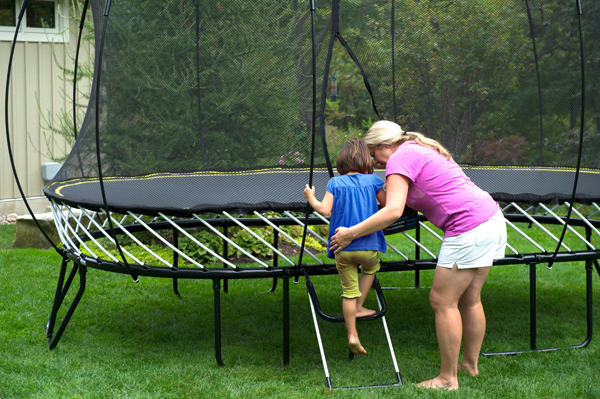 The FlexiNet ensures the jumper remains on the trampoline, and won’t collide with any hard poles. The tramps come in six different models, to suit different sized and shaped backyards. Prices start at $985 for the R54 Compact Round, up to $1985 for the S155 Jumbo Square. You can order directly from Springfree Trampoline.